I am trying to get into the habit of getting regular feedback from my students about what I am covering with them, and how I am doing so. For example, are they finding my subject difficult or easy? Interesting or dull? What approaches do they find particularly effective? 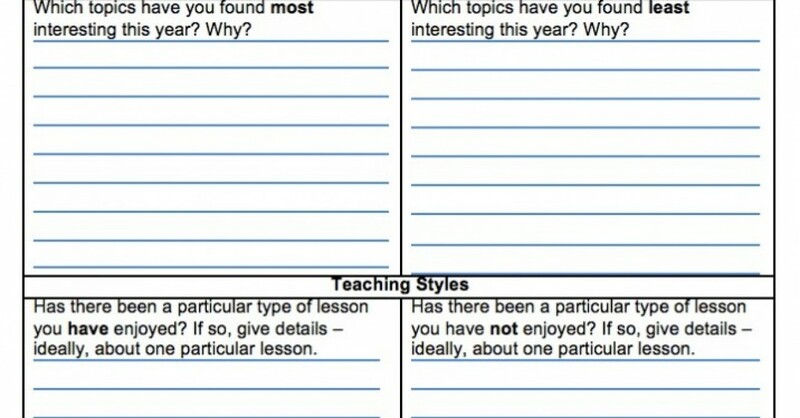 I have put together this first draft of a student questionnaire and I’d appreciate any feedback about how it could be further developed and improved. Thanks!